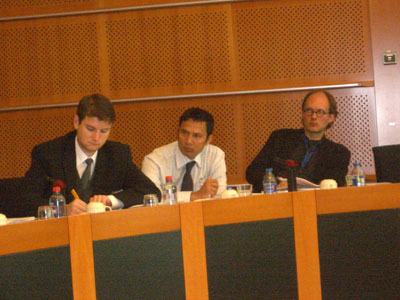 As it did in the year 2008 the EVBB topic of the year was the topic of the year for the EU. 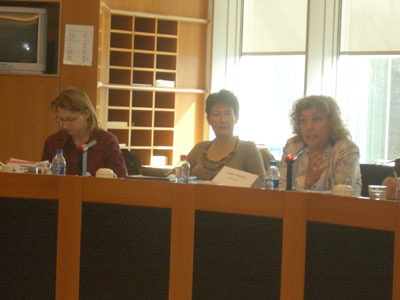 The members of the work group dealt with the topic in two sessions. The first session, which took place on 19 & 20 March in Sofia served for discussion the understanding of creativity and innovation in vocational education and for discussion on implementing the topic during the course of the year. 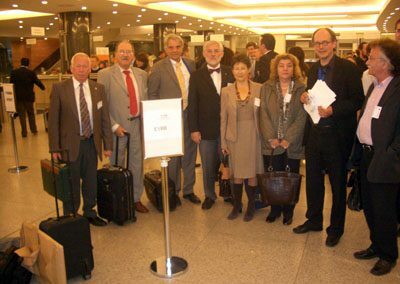 On 28 & 29 May 2009 all of the members of the work group met at BPI, the Austrian member’s venue in Vienna. On 03 December 2009 a workshop was held together with the Member of Parliament Thomas Mann, the Executive Committee and the Secretariat General of the EVBB in the European Parliament in Brussels on the topic of “Creativity and Innovation in Vocational Education”. The briefing was given by the member of parliament and the vice president of the Commission for Employment and Social Affairs, correspondent for the European Credit system for Vocational Education and Training (ECVET),Thomas Mann and the event was moderated by the secretary general of our association Dr. Bernhard Beckmann. The president Berthold Kuhn emphasized in his talk the focus of our association and the demands it has on international politics, the European Parliament and the European Commission as well. 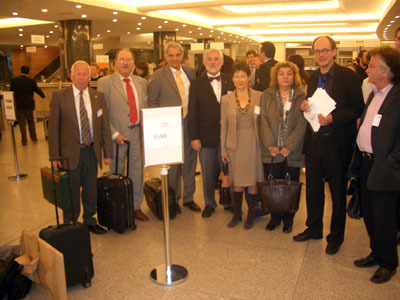 These main points were worked out at the conference in Cracow in 2008 and at the conference in Rome in 2009. 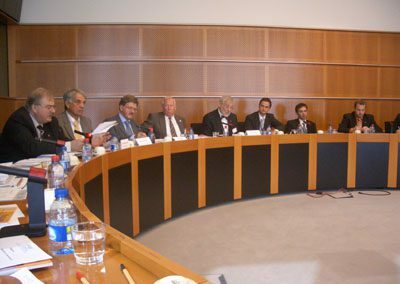 This orientation was received with interest by Mr. Mann and all of the representatives of the Parliament. 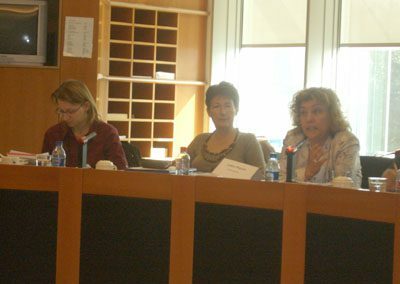 Ms. Aline Juerges (Directorate-General for Education and Culture) presented the orientation for new European initiatives and gave recommendations for vocational education. 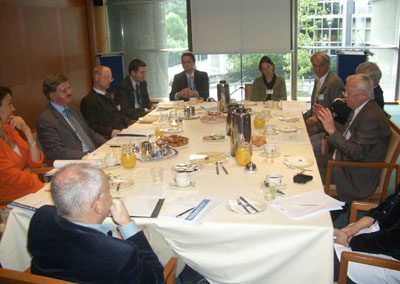 After some further contributions made by the EVBB, Deputy Secretary General Peter Backfisch and project coordinator Daniela Keess, an intense and productive discussion ensued. 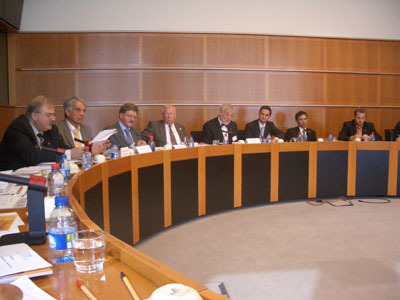 This roundtable discussion was a great success. 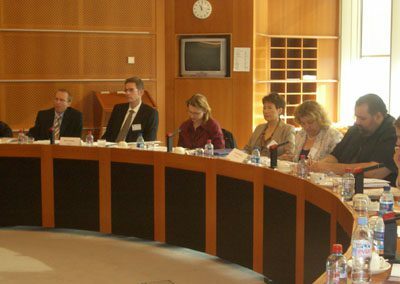 Read the resulting report of the EVBB work group session on the topic of “Creativity and Innovation” andthe talk by EVBB president Berthold Kuhn and the talk by Aline Juerges, Directorate-General for Education and Culture.